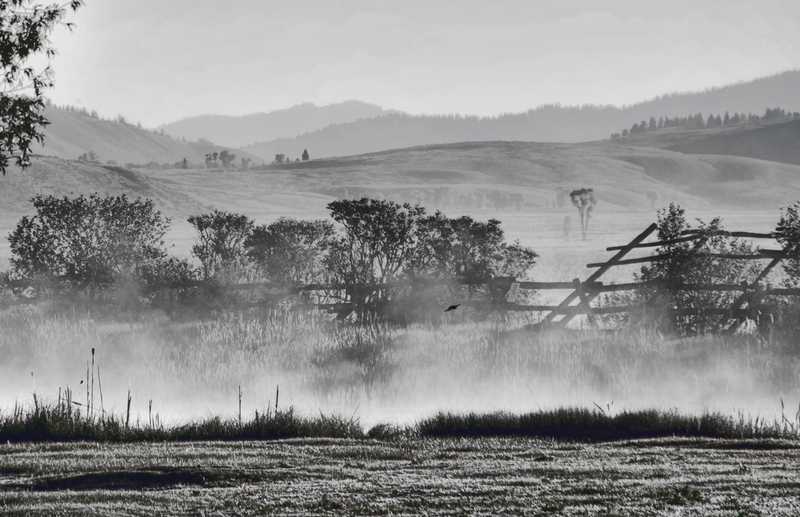 There is a protected wetlands across the road from my lodge, and Sunday morning while I was waiting for the safari van I took a couple of quick pictures of the mist over the fields. I planned to get more pictures when I had time, but it's been clear and mist-free every morning since then and I'm going home today. Another place I'll have to come back to.